Check out Bob on the new, soon to be released, Nitty Gritty Dirt Band CD "Speed of Life"
Imagine you’re at a party. It’s getting late, and nearly everyone has gone home, save for you and a few good friends. Suddenly, someone sits down at a piano and begins playing music. Not just any music, music that is somehow all at once moving, spontaneous, and deeply personal. And just like that, it’s no longer a party; it’s a perfect moment. You stop looking at your watch or worrying about the babysitter, as you’re transported away by the man sitting at the piano. 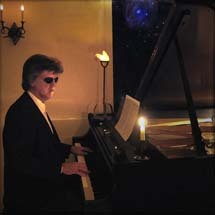 During down time from his work as a session player and longstanding member of the Nitty Gritty Dirt Band, veteran musician Bob Carpenter has elated friends and family alike with his ethereal, spontaneous piano pieces, losing himself in the moment of creation and allowing the music to somehow find its way out. Until now, however, the experience of hearing these pieces has been limited to a fortunate few. 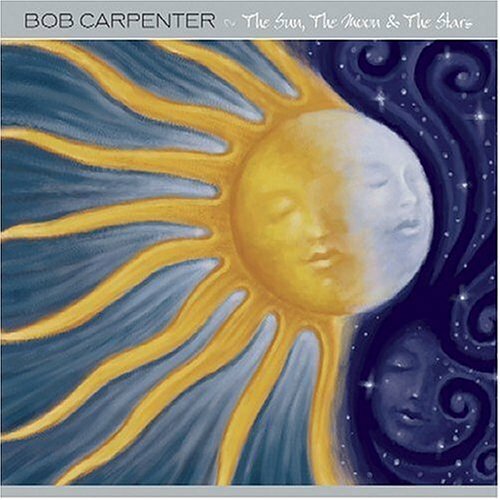 But with the release of “The Sun, The Moon & The Stars,” (Favored Nations) by this Grammy and CMA award winning pianist, singer and composer, Bob Carpenter has invited the rest of us in on an intimate, late night affair. It begins quietly, gently. As the opening strains of “Michael’s Place” drift through the air, as if coming from the room across the hall, you’re slowly drawn in. Conversation quiets around you, and then stops altogether. As the melody builds and circles, it’s not until you hear an acoustic guitar joining in later on the folksy “Damiana” that you begin to realize what’s happening—you’re being led into a rich and colorful musical landscape. There are hints of jazz, like on the smoky “G’s Soiree,” and curlicues of country and blues swirling around everywhere. There’s not a contemporary style of music Carpenter hasn’t mastered, and he’s drawing on all of it to offer up something original, just for you, just for this moment. With Bob Carpenter, the moment is an intriguing place to be. He’s the first to admit, he’s not always certain where the music is going: “Every time I play these melodies, the piece of music created ends up being unique based on what other music is floating around in my head at the time.” To be sure, there’s quite a bit of music floating around in there. Carpenter summons up the spirit of his over four decades working in the music world, playing on over 50 albums with everyone from Johnny Cash and Willie Nelson to Allison Kraus, John Hiatt, Emmy Lou Harris, Three Dog Night, and Bruce Hornsby, among countless others, and earning some 11 gold and platinum records. So wherever Carpenter may take you on his musical journeys, rest assured—you’re in capable hands. Recording Carpenter’s remarkable pieces, with all of their immediacy and energy, can be as elusive as capturing lightning in a bottle. Yet somehow, Carpenter, along with collaborator Steve Vai and master engineer Neil Citron has managed to pull it off. Every track feels spontaneous and fresh, brimming with quiet intensity, while somehow still sounding personal and heartfelt. It’s a bit like getting lost. Says Carpenter about the process, “When I play like this, I lose track of time and am not really aware that anyone is listening. It’s very different than performing onstage.” According to Carpenter, each of these melodies have been swirling around in his head for quite some time. Some were developed while playing for friends while cruising in the Caribbean, or kicking back in Puerto Vallarta, while some have a more established melody structure, like the Dirt Band song, “Broken Road,” or the Steve Vai song, “Whispering a Prayer.” Still, when Carpenter sat down to record “The Sun, The Moon & The Stars” during two-four hour sessions, he simply allowed the songs to rise out of him, in whatever form, letting chord changes, tempo, and melody take him along for the ride. Alongside his stirring piano melodies, Carpenter graces songs like “Never Give Up” with his seasoned, worldly tenor voice that comes through as smooth and warm as sipping whiskey. It all culminates in the gorgeous title track, a wide-ranging exploration of the outward sky and the horizon that at the same time reminds us there’s no better place to be than right here, right now. And finally, we’re left with the gorgeous, stirring ballad, “Lucky Few,” evoking the beauty and immediacy of life. And so, as the party winds down, and the guest begin to file out, a few good friends remain behind to sit quietly and listen to a man play remarkable music on the piano until late into the night. And, indeed, until recently, those who remained behind were the “lucky few.” Now, the experience belongs to us all. Samples from "The Sun, The Moon & The Stars"